All the advice and details on the all new Apple iPad 3 including release date, pricing, what’s new and more! Officially will be released on March 23rd. 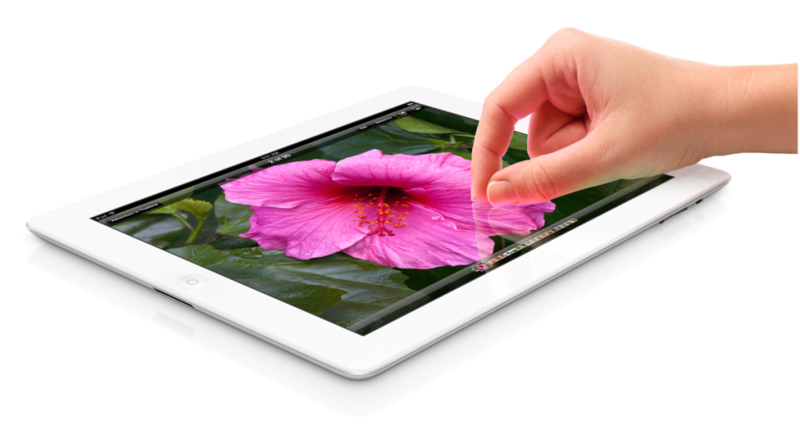 Details about iPad 3 – What’s New? Includes a number of new features and enhancements over the iPad 2. Refer to the table below for what’s new and what they mean for you! Retina Display Clearer picture, better quality videos, games and more. – It’s 2048 x 1536, that’s 3.1 million pixels. “The most ever in a mobile device.”This screen is also HD allowing you to get full potential of HD movies, TV Shows and HD video’s you may record. Siri – Voice Dictation A great voice detection software system – your personal for your iPad – Supporting Australia! 4G LTE A super-fast carrier wireless internet giving you very fast download speeds. Much faster then 3G.Now has 21Mbps HSPA+ and DC-HSDPA at 42Mbps, with LTE taking the cake at 73Mbps. 5MP Camera 5 MP camera on the back, 5-element lens, hybrid IR filter allowing for great quality photos.Face detection, Autofocus and white balance.You can also record at 1080p full HD with video stabilization, noise reduction. Quad-Core Graphic’s Card Quad-Core Graphics allowing for much better performance in things like video, gaming, animation etc. Battery Life 10 hour’s battery life, 9 hour’s on 4G. New iMovie, iWork and iPhoto Create movies, documents and edit photos right on your iPad.These apps are avaliable seperate for a small price. For all the latest in pricing, information and sales like our FaceBook Page!